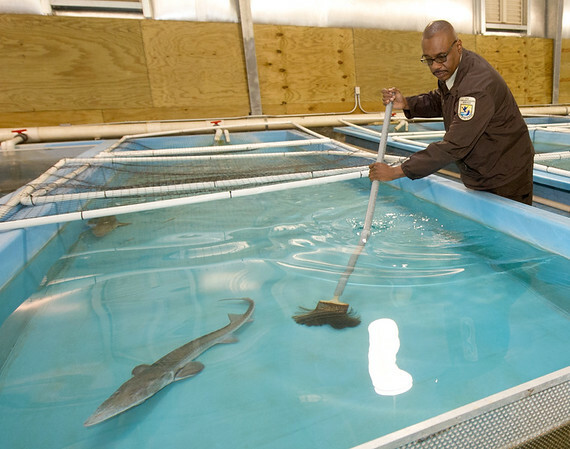 Roderick May, acting manager of the Neosho National Fish Hatchery, sweeps a tank containing several endangered pallid sturgeon on Wednesday in Neosho. May, who has been at the Neosho hatchery for 17 years, hopes to become permanent manager of the hatchery and continue the pallid sturgeon species recovery program. The Neosho hatchery holds 29 of only a few thousand pallid sturgeon in existence.